The Titanic Facts are many on RMS Titanic and it is still such a readily recognised name after more than 100 years of history since it sank and northern Ireland has such a strong association with it. It is amazing now to think there are at least 200 Titanic museums that can be found all over the world all sharing facts about the Titanic . 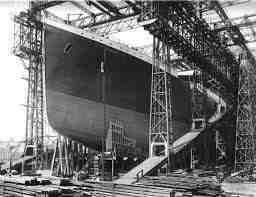 Originally built in the Belfast Shipyard in northern Ireland (uk) the Titanic has a history of worldwide interest. It is not always easy to find true Titanic facts and we have checked as best we can though please don't hesitate to let us know if you see some errors as we would rather have it correct. This section of the site recognises facts about titanic from the Titanic construction that took place in Belfast and many of the Titanic ship facts as it was built. Among all the facts about the RMS Titanic some unusual facts about the titanic emerge ,workers in the Shipyard on £2 a week, the food available depending on the class of passengers on the Titanic, all discussed below. We also look at Titanic Movie Facts not just the famous 1997 Movie but the other before and there is a section on Titanic Facts for Kids. After just three years, the Titanic Facts show RMS Titanic construction was finished - a floating city, ready to set sail on her maiden voyage from Southampton to New York. On board was a collection of passengers comprising millionaires, movie stars, teachers and emigrants, in search of a better life in the United States. On the night of Sunday 14 April 1912, the sea was flat calm, the sky clear and moonless, and the temperature was dropping towards freezing. At 11.40pm the lookout sounded the alarm and telephoned the bridge saying "Iceberg, right ahead." Less than three hours later the Titanic Ship lay at the bottom of the Atlantic Ocean, nearly four kilometres down. 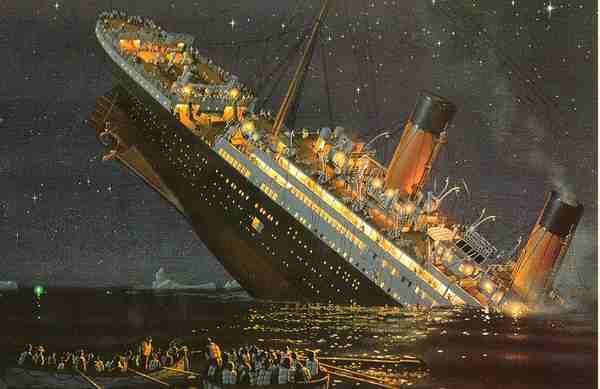 The sinking of Titanic ship claimed more than 1,500 lives. At the time she was the largest moving object on the planet and touted as being unsinkable. Titanic Ship history in Titanic Belfast a beautiful new building full of Titanic memories situated where the original Titanic construction in Belfast, northern Ireland took place. 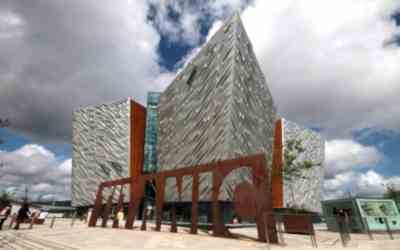 Also mentioned is the recently refurbished Titanic Sister Ship. Titanic Survivors summarises survivors of the Titanic tragedy by class, recounts some personal Titanic survivor stories and details the last Titanic survivor. Titanic Facts for Kids about the Titanic ship and simple facts from the building of Titanic in Belfast shipyard to the Titanic Iceberg hit and facts about the Titanic Survivors. 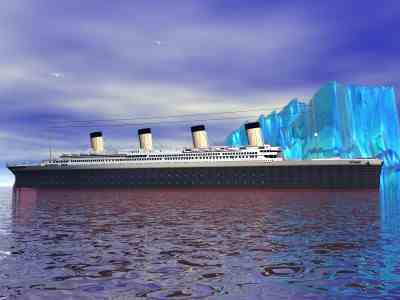 Facts about Titanic answers commonly asked questions: How did the Titanic sink? When did the Titanic sink? Where did the Titanic sink? Why did the Titanic sink? Titanic Movie-in total reviews all 8 Titanic Movies with a bit more Titanic information on the epic James Cameron Blockbuster. 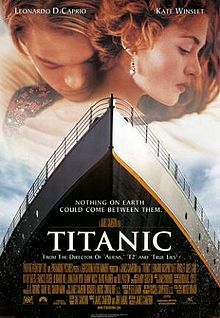 Also discussed are the 1997 Titanic Director and Titanic Cast including Leonardo DiCaprio and Kate Winslet. Titanic Sinking-covers the ice warnings, the Titanic iceberg hit , the Titanic sinking, the Titanic lifeboats and the rescue. Titanic Pictures -is a brief collection of pictures of Titanic and Titanic images from the Ship that shows some Titanic furniture, Titanic rooms and Titanic lifeboats. History of the Titanic- From Titanic Construction in the Belfast shipyard, to Titanic Sinking and the remains of the Titanic Wreck. 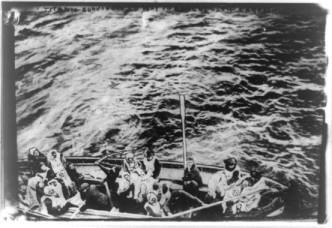 Also included are details on the Titanic passengers by first class, second class, third class and the crew. 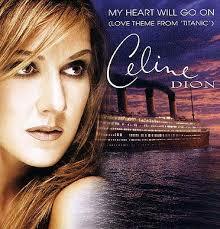 Titanic Song - The Titanic Theme Song by Celine Dion " My Heart Will Go On " and its international popularity. The Titanic Food on Board the Titanic Ship. A look at the huge food quantities on board and the food served by class. 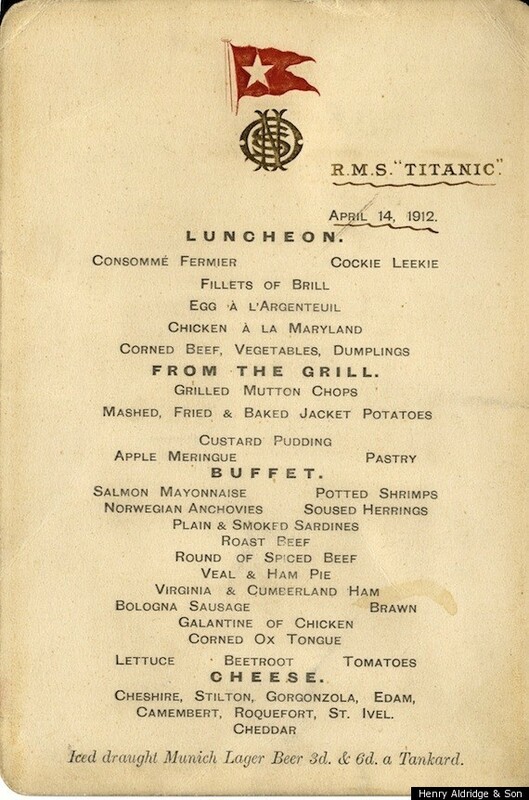 Also shown is one of the Titanic photographs of a menu on board. Titanic Construction Facts show that the cost to build the Titanic was estimated at $7.5m and in those days the skilled shipworkers were earning £2 a week. Also go to more facts on the occasion when the TItanic launched. Titanic 2 is an exciting new project. 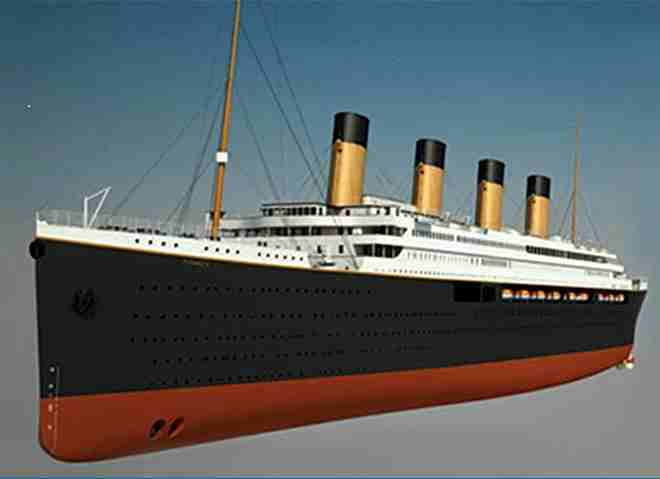 A billionaire from Australia is financing the building of a life size Titanic Replica.